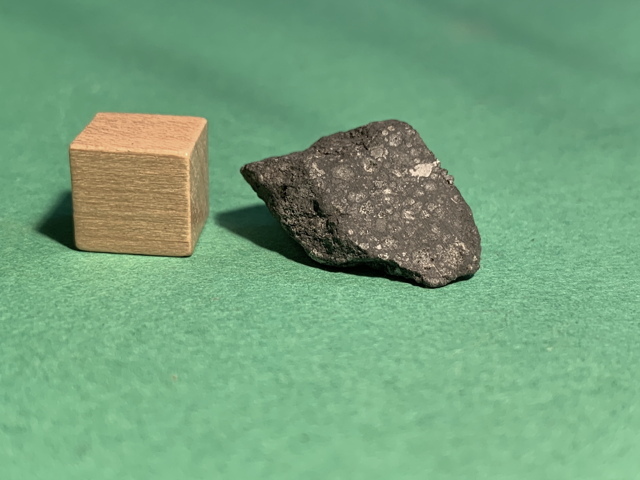 Fell: February 8, 1969, 7h05m GMT. 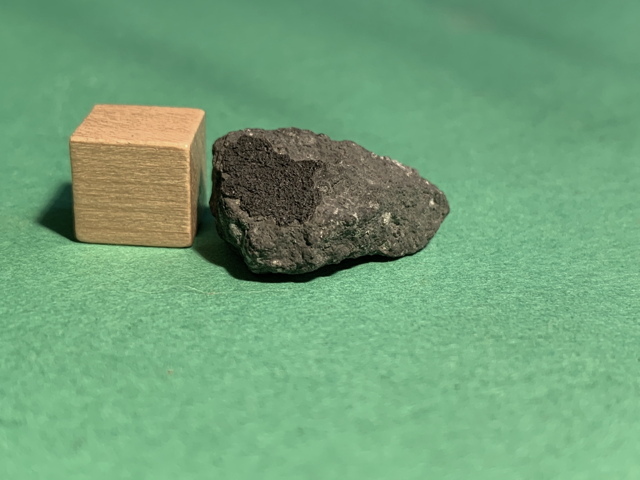 Classification: Carbonaceous chondrite, type CV3. 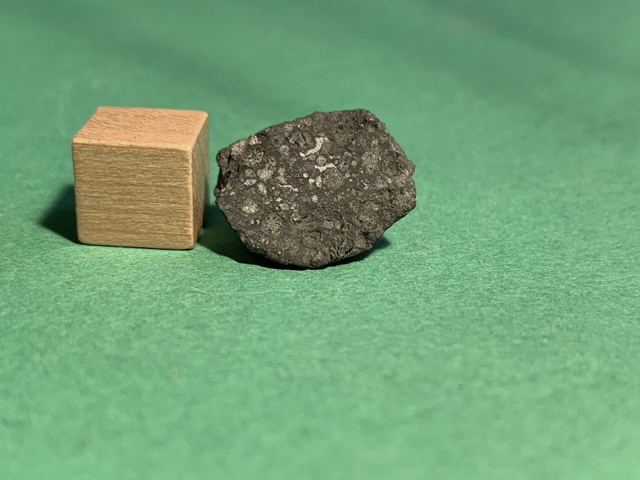 Description: The huge fireball lit up thousands of square miles of Northern Mexico and Southwestern United States. 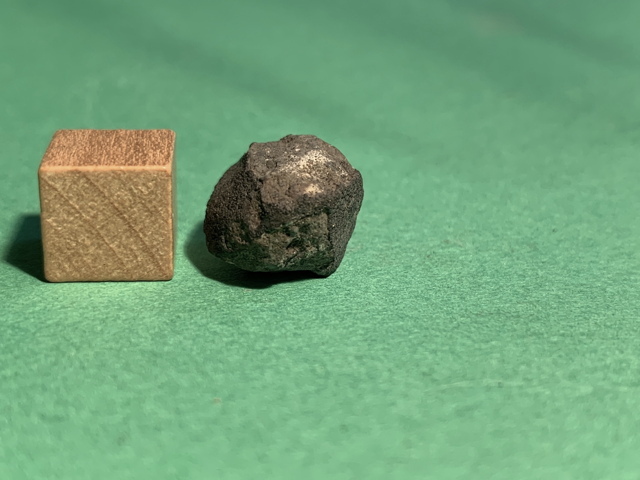 The fireball travelled from south to north. 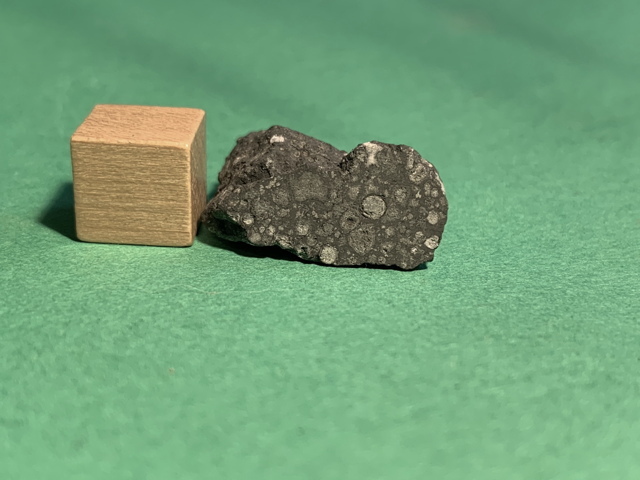 A meteorite shower spread over 50 square kilometers area. 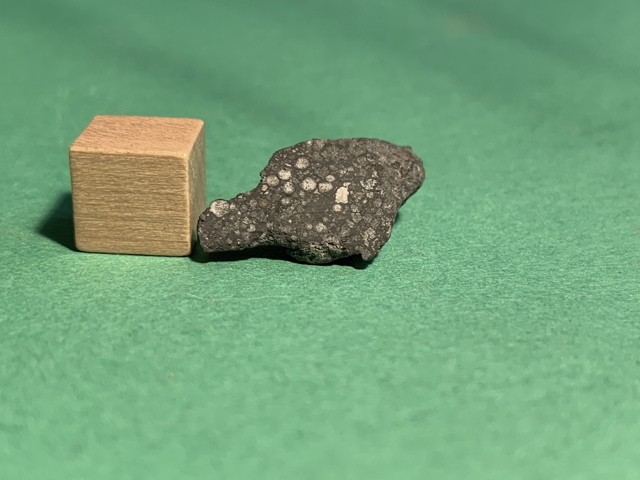 There are several pits; the biggest one is 60 cm across and 15 cm deep. 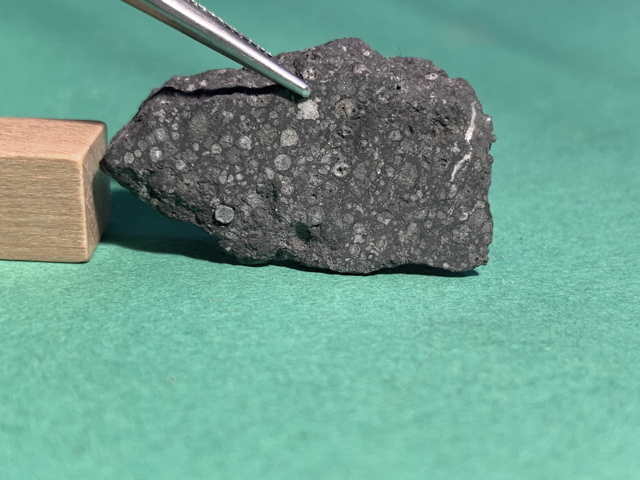 Search and preliminary investigation of the meteorites were carried out by Dr. E. King (NASA), Drs. 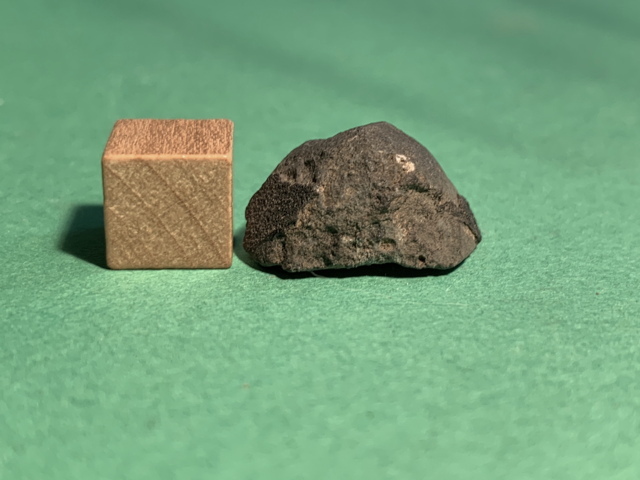 B. Mason and R. Clarke (Smithsonian Institution, Washington, USA) and others. 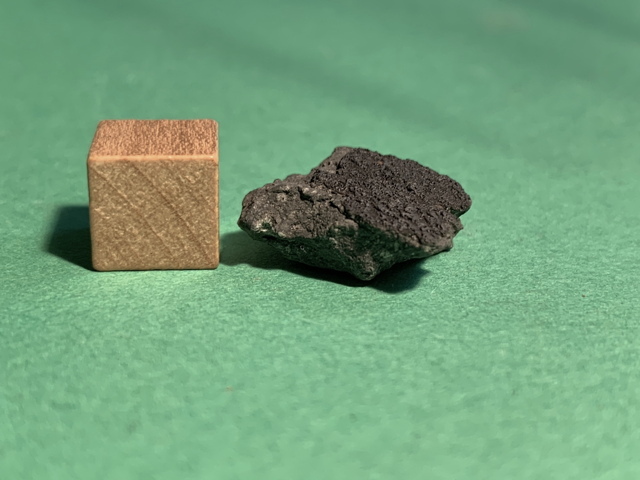 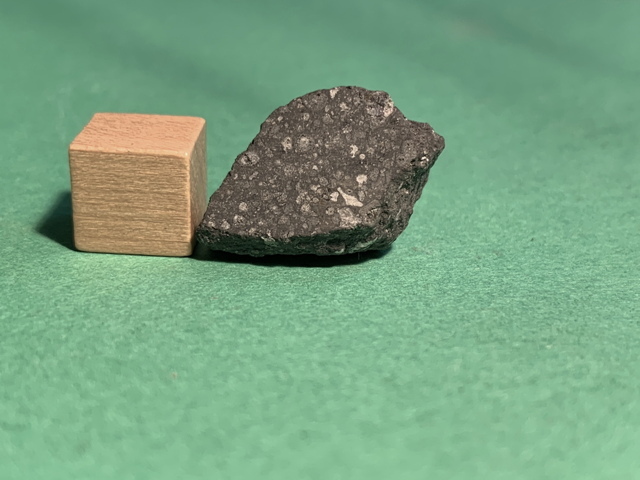 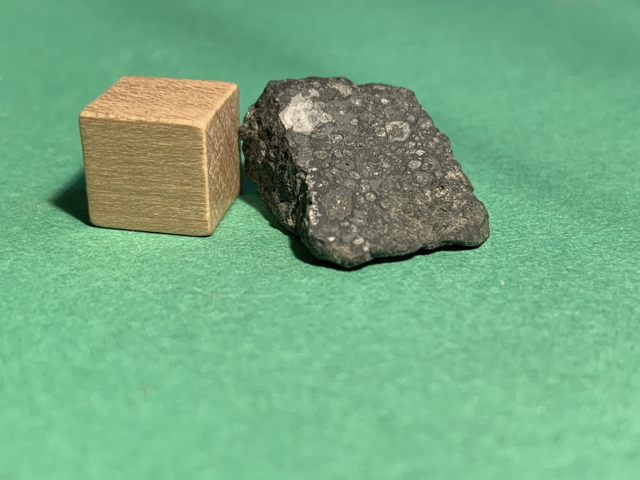 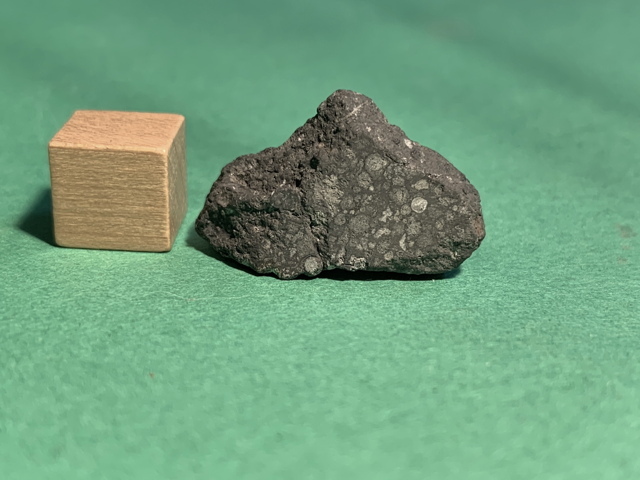 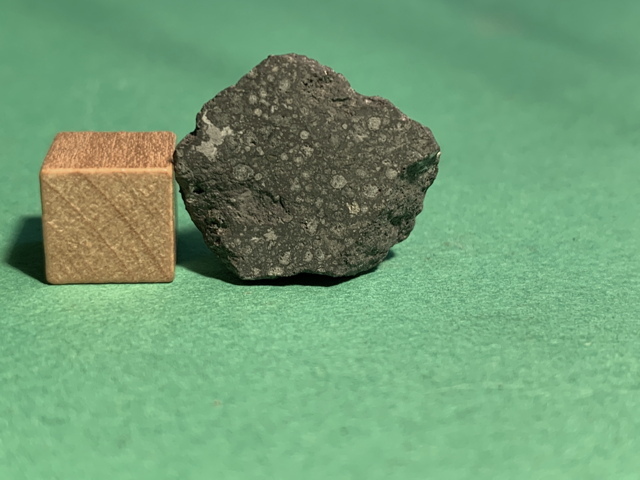 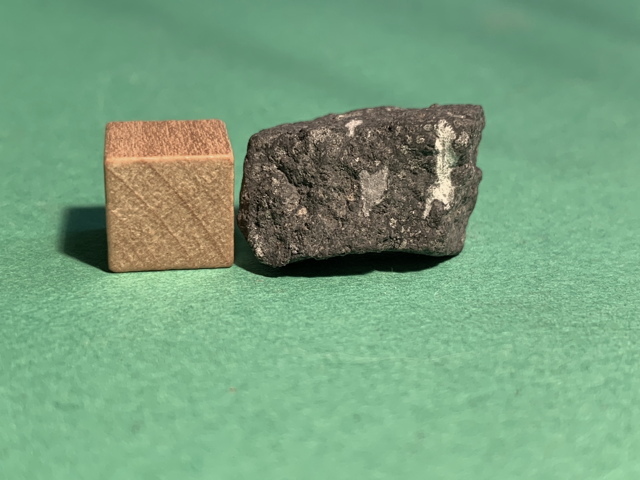 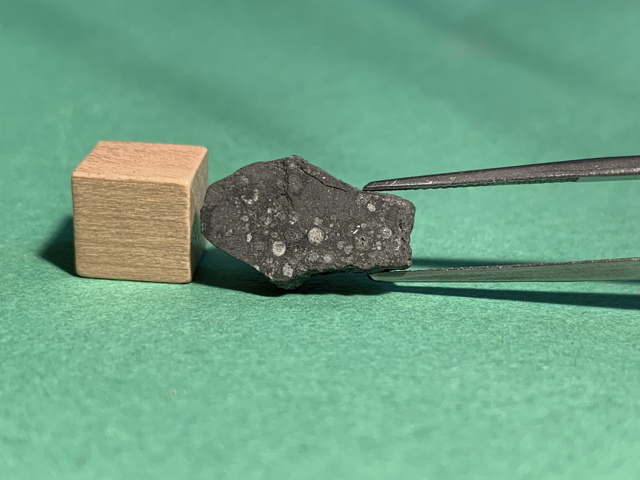 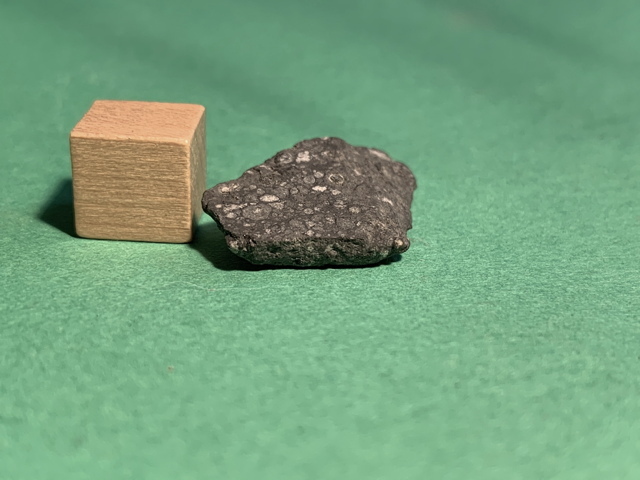 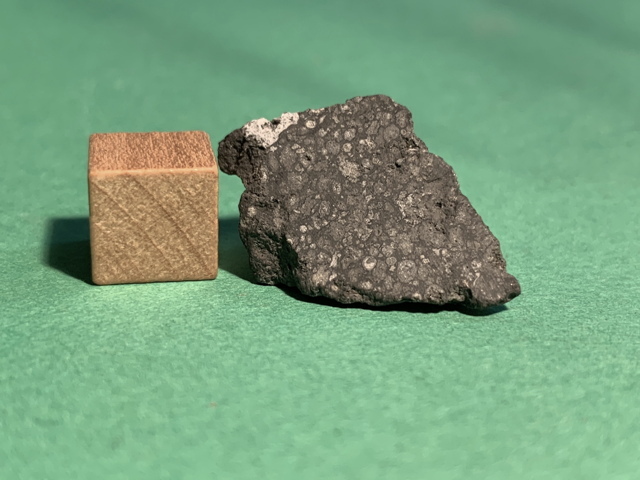 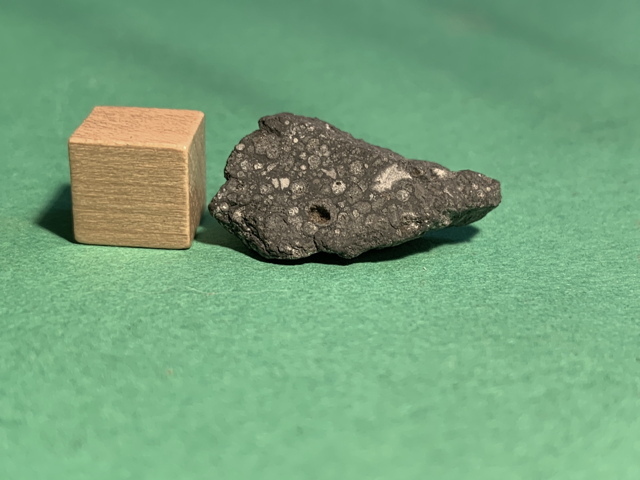 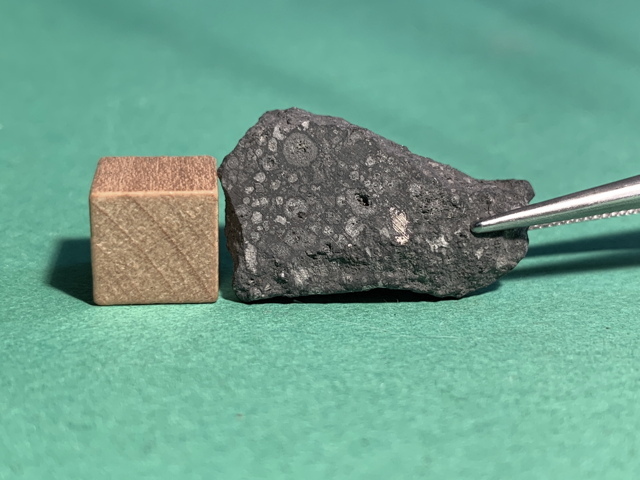 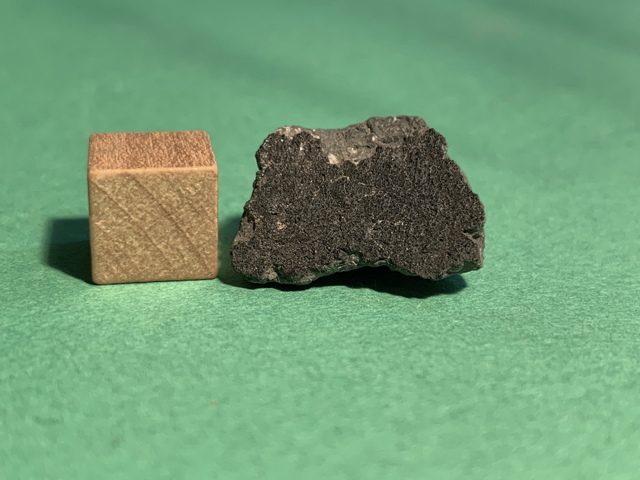 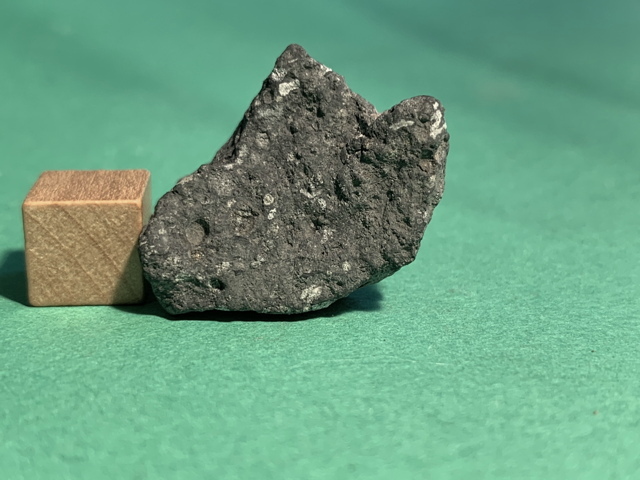 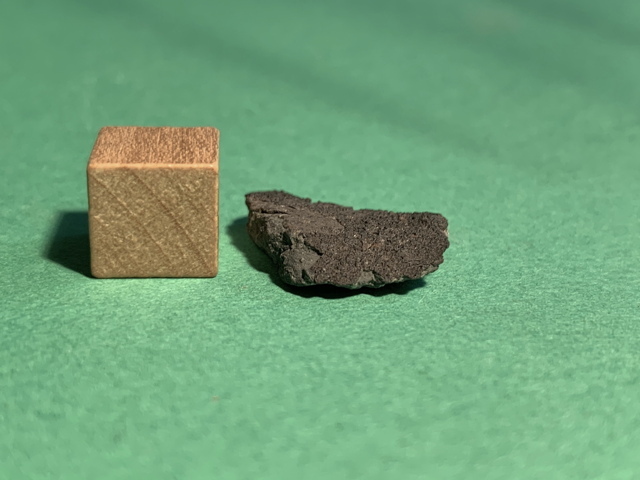 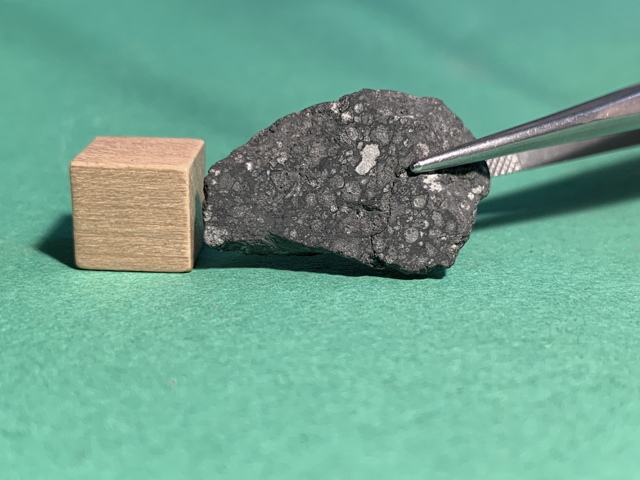 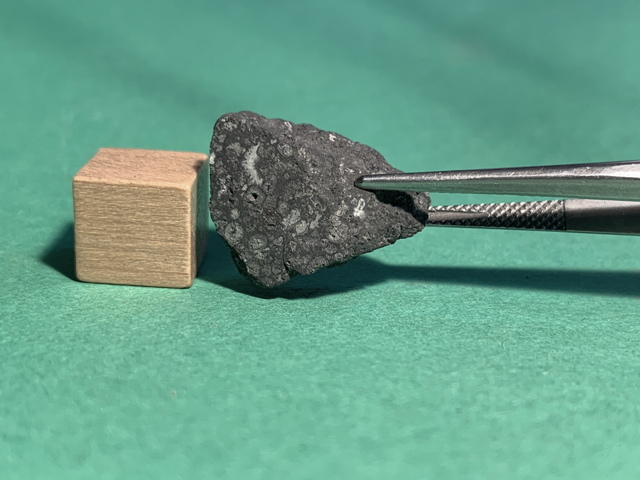 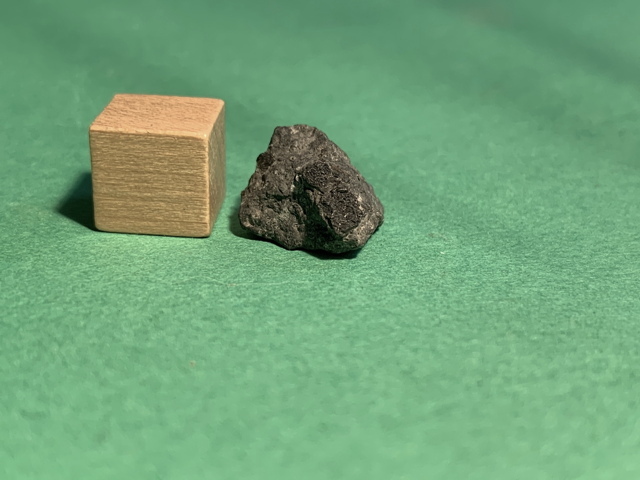 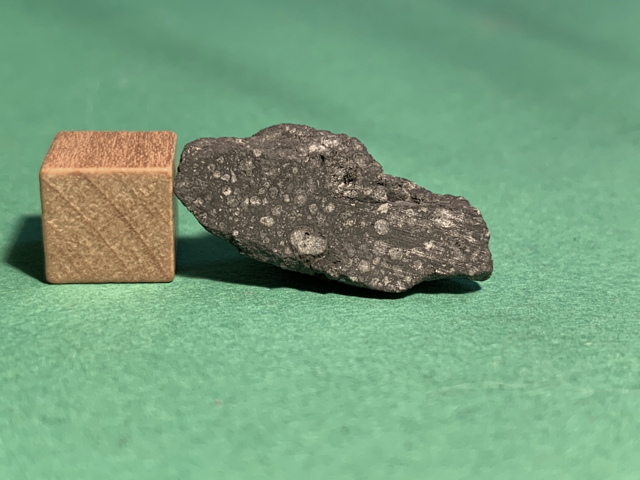 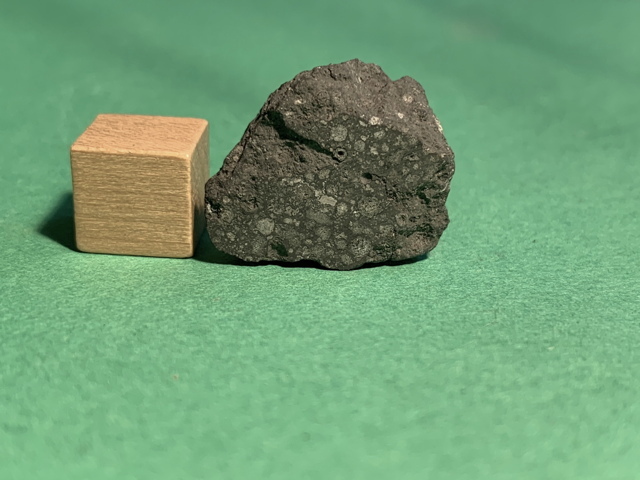 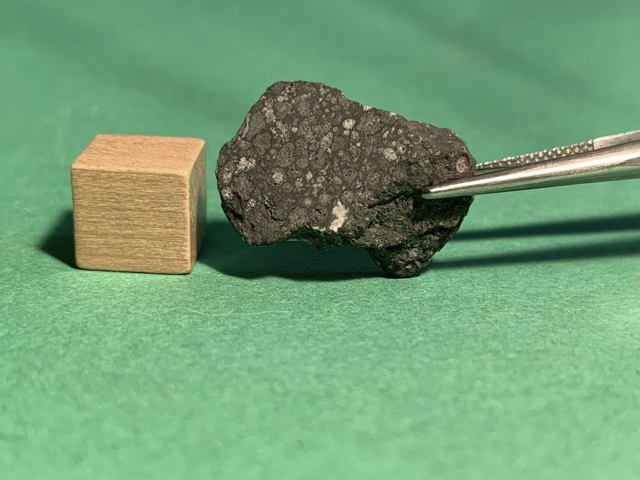 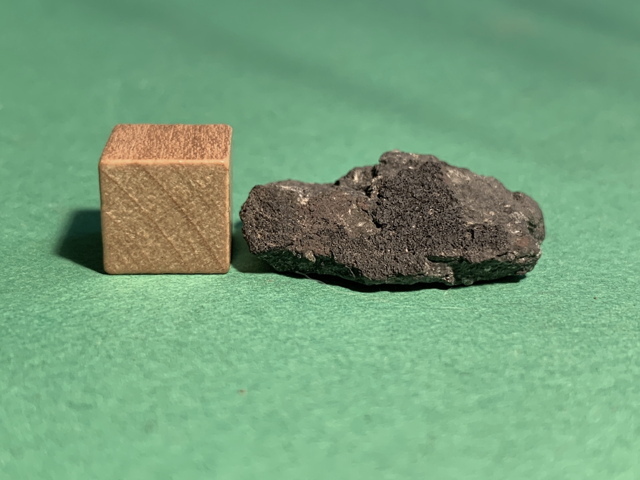 Click here to find out more about the Allende meteorite--where it fell (North-central Mexico) the story of its fall in February of 1969 what it is made of why scientists think this may be the oldest rock on Earth. 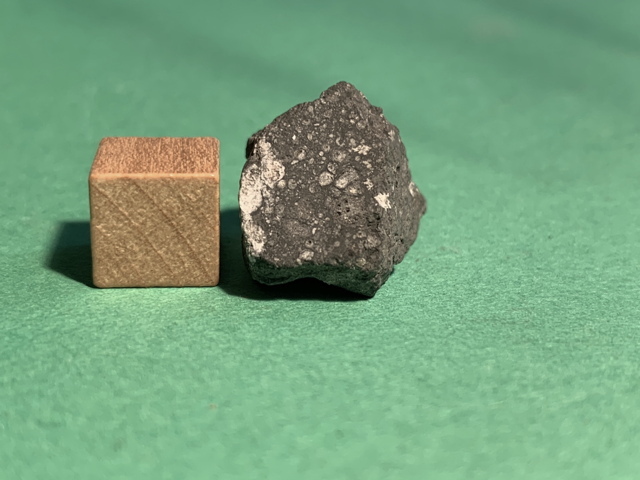 Each photo has a small one centimeter cube. 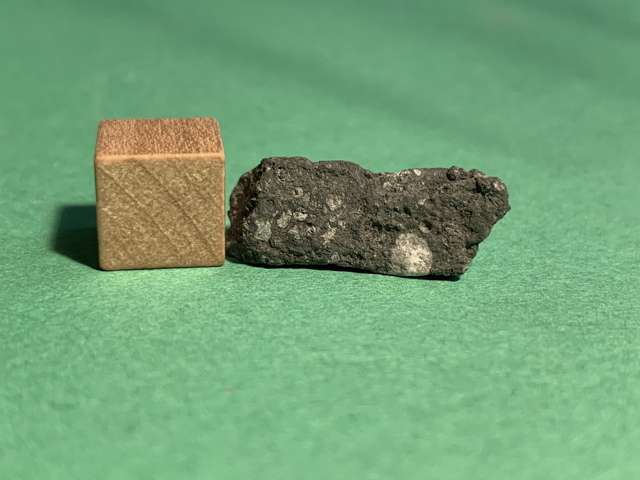 That's a little less than a half inch on a side. 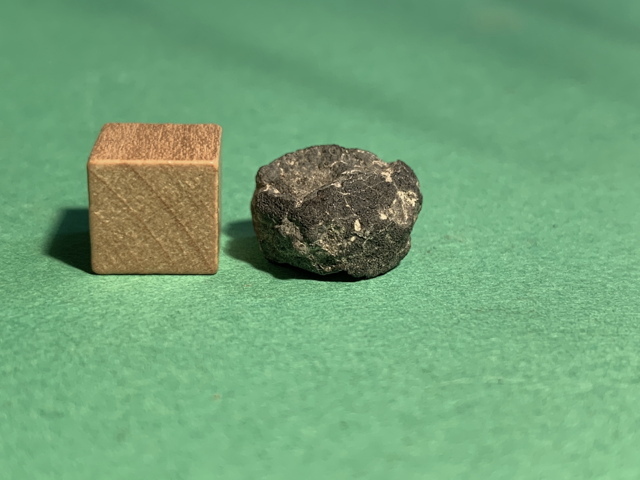 The coin above is a US dime.